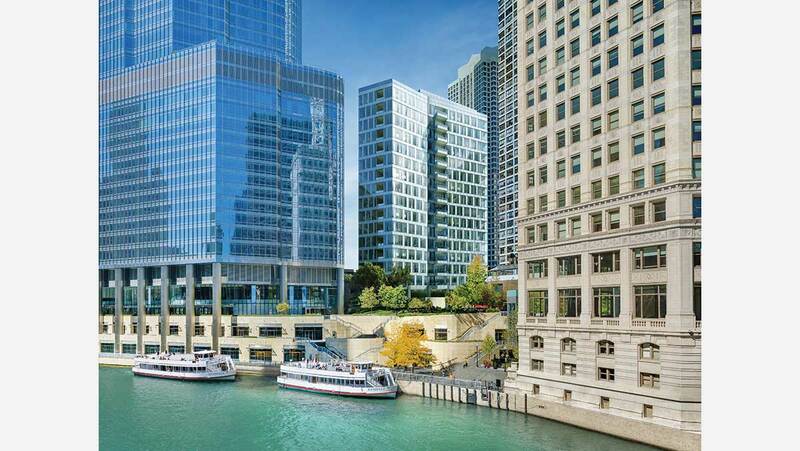 Planned to occupy a tight space just North of Chicago's soaring Trump Tower, the relatively diminutive "Renelle on the River" is currently marketing condos from a sales center at 405 N. Wabash. Developed by Belgravia Group and designed by Chicago Architects bKL, the 18-story River North project offers 45 three - and four-bedroom units ranging from 2,200 to 3,400 square feet and priced from $1.5 to $3.2 million. 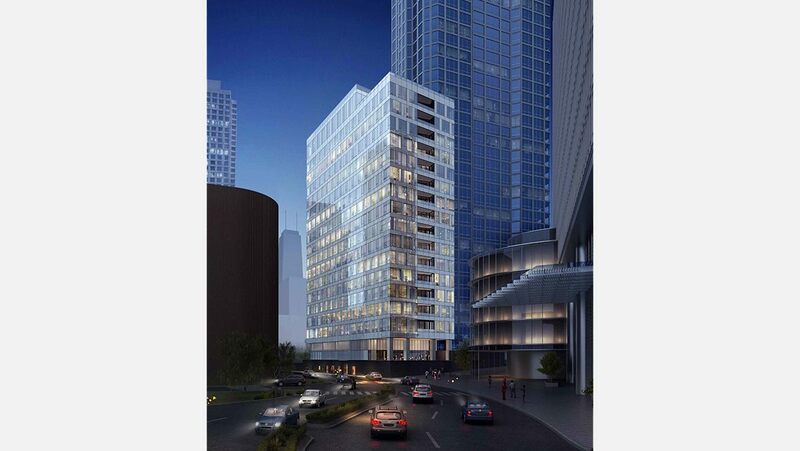 Renelle on the River will offer "grace and sophistication at the center of countless cultural and entertainment opportunities", according to Belgravia. This means amenities such as a ftness center with yoga room, bike storage, and private dog run. The top level will feature a game room, screening room, indoor and outdoor kitchens, and a 4,500 square foot communal terrace with a fireplace.